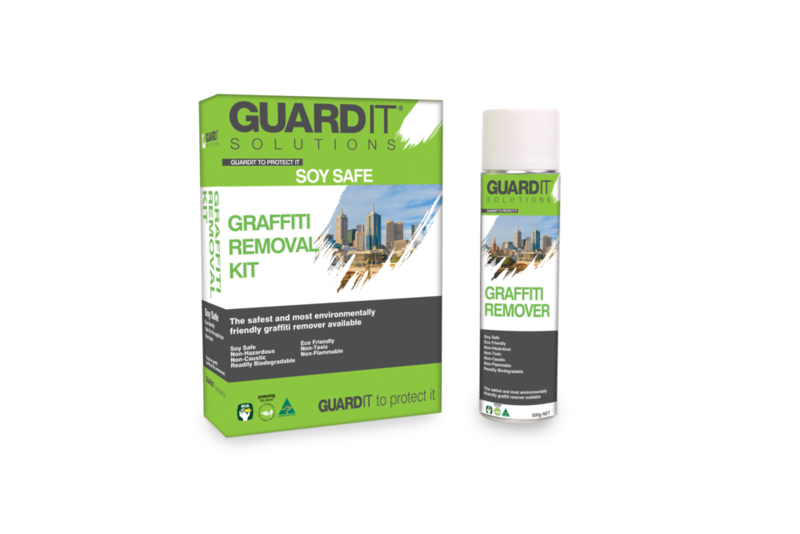 GuardIT® Soy All-Stone Aerosol Graffiti Remover is an environmentally responsible, soy based graffiti remover. Soy All-Stone Aerosol Graffiti Remover is specifically designed to be used by the DIY (Do It Yourself) market, safe, easy to use and contains no toxic chemicals. Our unique nitrogen technology is non-flammable, non-toxic, safe to use and fully recyclable. Ideally used for the removal of graffiti on porous and sensitive surfaces. ozone-depleting chemicals, no known carcinogens, reproductive toxins or other human health hazards. It’s a ready to use, non-toxic, VOC compliant, readily biodegradable, recyclable product specifically designed to remove the most difficult marks and stains from many surfaces. Developed for the safe, effective and powerful removal of graffiti paint, markers, ink etc. from all types of porous masonry surfaces including brick, cement, concrete, stone and tiles.